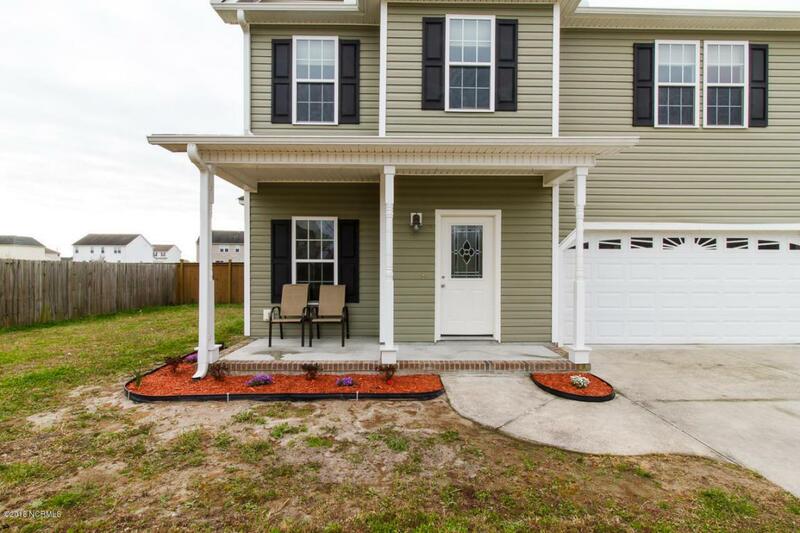 This beautiful is home located in Trifield Estates, near an Onslow County Park and schools. The home sits at the end of a cul de sac with sidewalks and street lights. As you approach the home you will notice fresh landscaping and a covered porch that is perfect for a rocking chair. 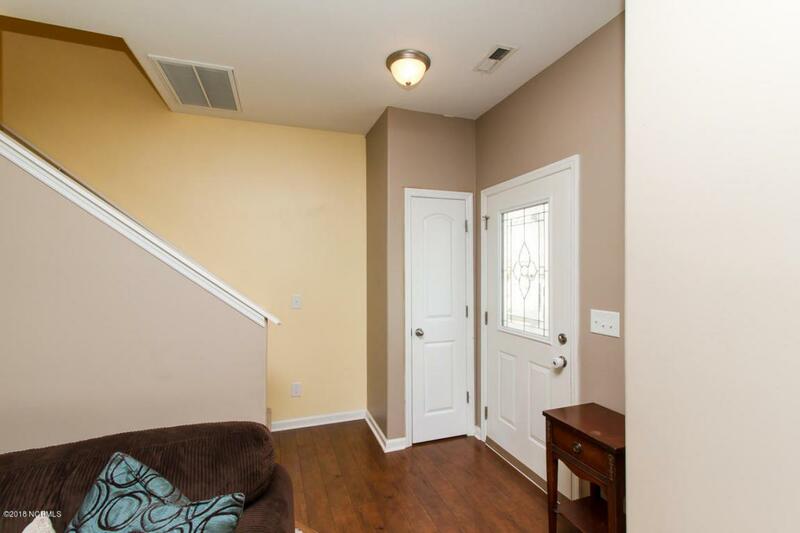 As you enter you will be wowed by the hardwood floors, large open space and fresh paint. 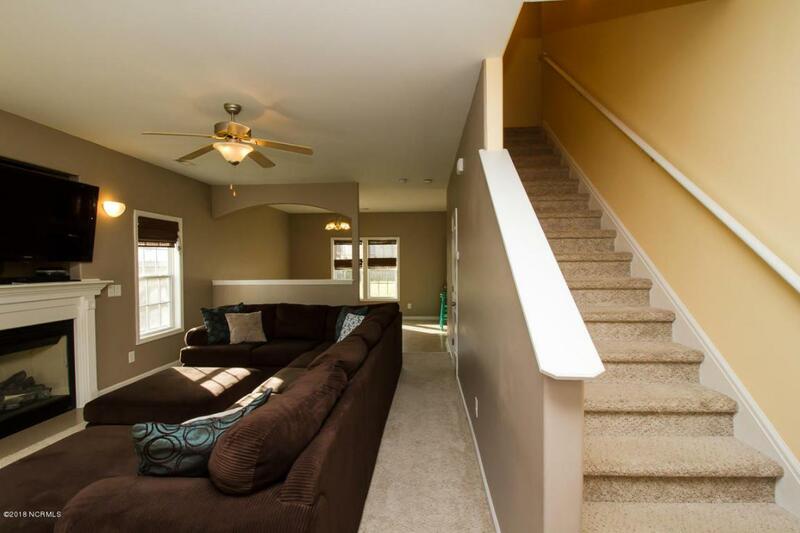 The large living room has a gas fireplace with a space above for you tv and has a 1/2 bath just off of it. The living room opens to the very large eat in kitchen which has been well maintained and has stainless steel appliances. Off of the kitchen is a pantry and the door leading to the 2 car garage. 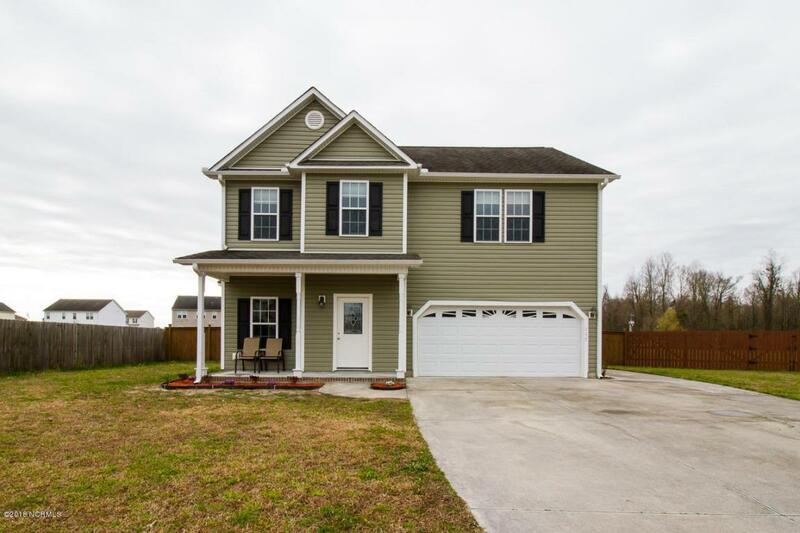 All 4 bedrooms in this home are located upstairs. Call now for your private tour!The 3 kids/guest have nice size and share a full bathroom. The master suite has a walk in closet and a beautiful bathroom featuring dual sinks, a soaking tub and a walk in shower. Downstairs off of the kitchen is a sliding door that leads to the back yard where you will find a large deck that you'll easily visualize family bbq's and evenings watching the kids play in the fully fenced backyard. This home is a must see, please call today for your private showing!